Domestic issues (like pork imports) pose just as much of a challenge to Taiwan’s TPP dreams as Beijing does. Taiwan’s new leadership is determined to win inclusion in the Trans-Pacific Partnership, but that’s easier said than done. In looking at the challenges, there’s a temptation to focus on the potential for Beijing to try to block Taiwan’s entry into the 12-state trade pact. That’s definitely a concern, given the mainland’s history of restricting Taiwan’s participation on the international stage. But looking only at the “China factor” overlooks the immense challenges Taiwan will face domestically in bringing its regulations in line with TPP standards. Even with the presidency and control of the Legislative Yuan in its hands, the Democratic Progressive Party (DPP) will face an uphill battle. Like the United States, which spearheaded the negotiations, Taiwan views the TPP both strategically and economically. Advocates for the agreement hope it can breathe new life into Taiwan’s economy through integration with global markets, while also lessening Taiwan’s dependence on the Chinese economy. Recent increases in cross-strait trade and investment have sparked concerns that Taiwan is growing too vulnerable to economic pressure from Beijing. 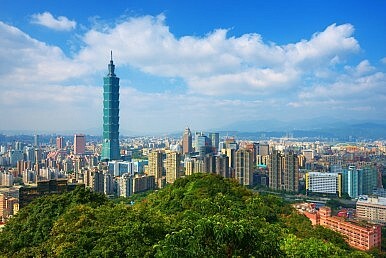 Economic deregulation is always a difficult sell, and Taiwan is no exception. In Taiwan, one of the most hotly debated trade issues centers around pork. Currently, Taiwan bans imports of pork containing ractopamine, a drug used to enhance leanness. The additive is legal and commonly used in the United States, however. Taiwan’s ban has been a major sticking point in economic relations between the two sides. In fact, current Premier Simon Chang told the Legislative Yuan on Friday that he believed the pork issue would make or break Taiwan’s inclusion in TPP. “Before the pork issue is resolved, the United States will not agree (to include Taiwan in the TPP),” he said. Taiwan’s pork industry is sure to oppose any change in the ractopamine ban, however, and health concerns might make it a tough sell among average Taiwanese as well. Tsai has already come under fire from the rival Nationalist Party (Kuomintang, or KMT) for ‘flip-flopping’ on the pork issue, after she said she would look at Japan and South Korea’s limits on ractopamine as possible models for Taiwan. Meanwhile, Tsai and the DPP have tried to engage with pork farmers (resulting in this video, posted to Tsai’s Facebook, of her visiting a pork farm in Yunlin). It should be noted, however, that similar resistance to pork imports (as well as other agricultural imports) was a major factor for Japan and the United States in the TPP negotiations. Tariffs on meat and other agricultural goods were one of the final hurdles to be cleared – but did not ultimately block agreement on the TPP. Taiwan’s trade dreams will ultimately be achieved — or denied — through changes at home. Though Tsai won’t officially assume office until May 20, she is already laying the groundwork for a push to join TPP. Tsai announced this week that she plans to set up a special office under the Cabinet dedicated to handling international trade negotiations, including the TPP as well as bilateral trade agreements. “The office will build on the efforts of a TPP task force established last year to open communication channels and start preparations,” Tsai explained.